LinkedIn is one of the most valuable tools for REALTORS® on the web today. But many use it only as a glorified resume. It can, and should, be used to its full potential to access and service the communities that exist there. Since its launch date in 2003, LinkedIn has grown to include around 259 million users, 40% of whom visit the site on a daily basis. Imagine the power of reaching that many prospective clients or buyers every day. This platform can be used to provide relevant and timely information to your customers. If you don’t keep your content fresh, however, then there is no reason for someone to follow you. So consider the advantages of putting some effort into making your company page worth landing on. LinkedIn offers advertising solutions for any size of business (at last report, around 1.3 million small businesses are currently advertising with LinkedIn). You can create and place ads on prominent pages that connect interested prospects to your website. You can also select the specific target audience of these ads: by job title, job function, industry, age, etc. You can also tailor your plan to pay for only the clicks or impressions you receive. These ads can then show up on any of the following pages: Profile, Home, Search Results, Inbox, or Groups. Yes, it costs money—the minimum daily budget is $10, and the minimum bid is $2 per click (higher bids receive more click-throughs). But consider this amount versus the cost of sending out random (to a select postal code) direct marketing materials: the cost of printing, postage, design, managing, etc. The response to a direct mail campaign can produce little if any return and is very difficult to track. On LinkedIn, every click has already proven to be an interested lead. Therefore, LinkedIn provides more valuable leads, which is worth the expense and produces a potentially higher ROI. 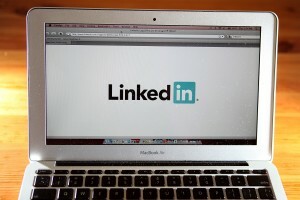 LinkedIn recently purchased Slideshare, another online site that focuses on user-created content, namely slide shows. The benefit to REALTORS® is that Slideshare is a visual medium; therefore, pictures and text function perfectly. Their system for creating content is incredibly easy. Essentially you create a PowerPoint presentation (perhaps you already have one on your hard drive) then you simply upload it to their site. Then you can connect that presentation with your LinkedIn account and suddenly, you have a brand new, sparkling (free) advertisement. You could talk about housing trends, market statistics, showcase unique properties, etc. Just because REALTOR® websites exist doesn’t mean they can necessarily be found by Google or by potential leads. It is your responsibility to become engaged with others in your community and social media sites are the best place to start. Much like on Twitter and Facebook, people follow companies on LinkedIn; they re-tweet or Facebook-like content they discover. Your company’s page should always be part of the ongoing discussion of your market. Whether it’s a new tax law, a sudden storm, or a drop in interest rates, you should be on top of it with inside information and professional, expert advice. Remember that the more you help those around you, the more likely you are to become a resource for important information and a leader in your field. The more vocal you are about relevant issues, the more your audience will grow. In time, the leads you’re trying to reach will reach out for you. How much better is this than blindly sending a postcard through the mail?